Bob came in for a golf lesson, complaining of hitting his irons so low that he couldn’t get the ball to stop on most of Nashville’s firm Bermuda grass greens. In this lesson summary, you see how changing Bob’s hip turn and arm depth in his backswing made it possible for him to do the other things that hit the ball higher. 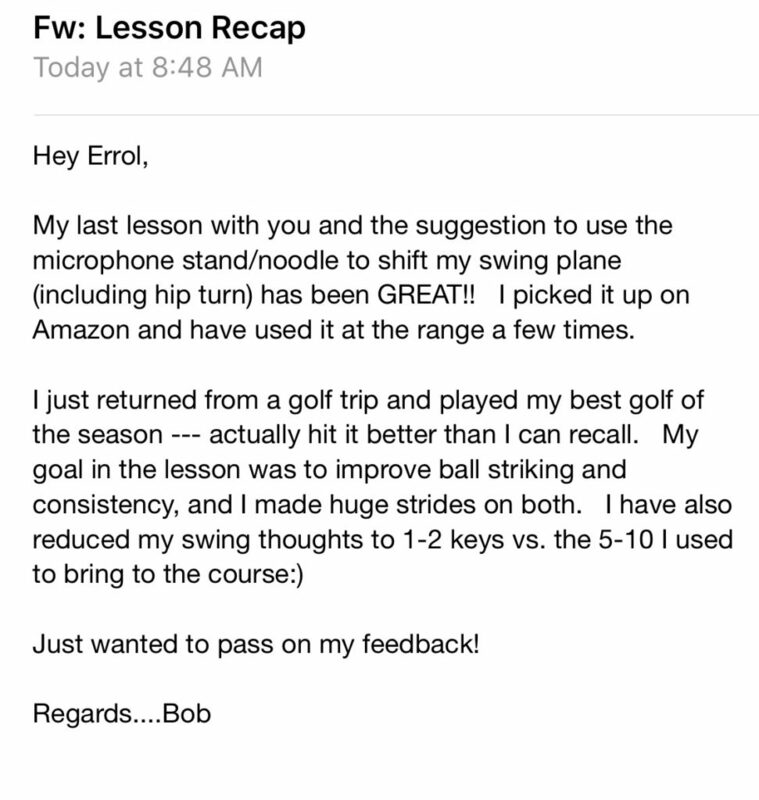 Bob enjoyed such success that he emailed later to say how much better his play has been since this lesson.